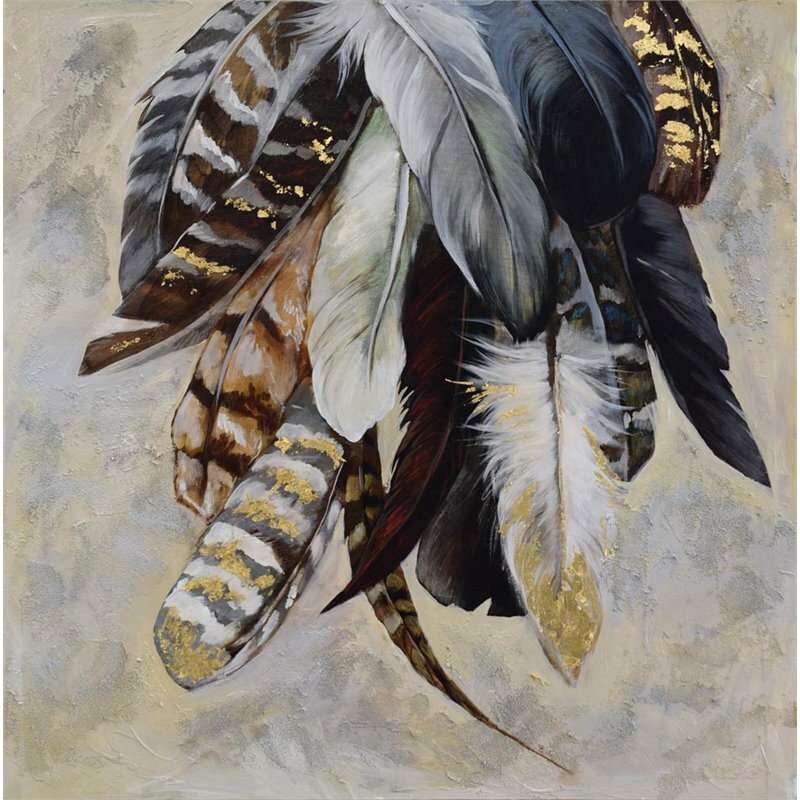 The rustic splendor of this traditional canvas art piece depicts a collection of pheasant feathers painted with exquisite detail. Masterful brushstrokes capture the natural realism of every quill as mottled gestures of sky blue and beige suggest a collection of feathers floating in mid-air. Gold leaf accents add an opulent element to the white, gray and brown plumes as extended gallery-wrapped edges present an elegant canvas from every angle. This consumer rating is based on 1 reviews of Renwil products in the same category. The Renwil Feathertail Canvas Art has not yet been reviewed, be the first!